VisTech.Projects: How-To: do measurements using camera and common objects of known W/H ratio and length in "Partometer3D - camera measure"
How-To: do measurements using camera and common objects of known W/H ratio and length in "Partometer3D - camera measure"
Task: measure pencil accurately using square wooden tile and credit card. - I go to Preferences and select Measurement Plane as Custom Plane. 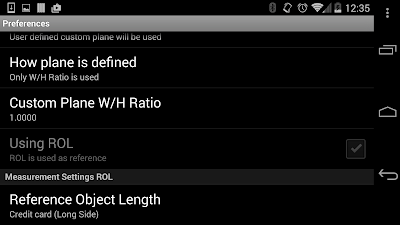 - Then in How plane is defined I select Only W/H Ratio. - Then in Custom Plane W/H Ratio I enter 1.0 (square shape). Now with this settings I can define measurement plane using the wooden tile. I need to set the scale for the measurement plane in selected units (mm). To do this I place a credit card on the plane and use its LONG side as a reference (ROL). 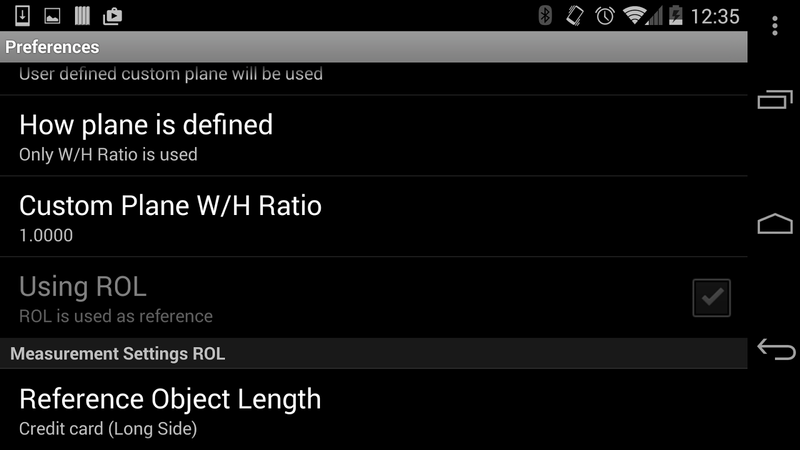 Using ROL is selected automatically. 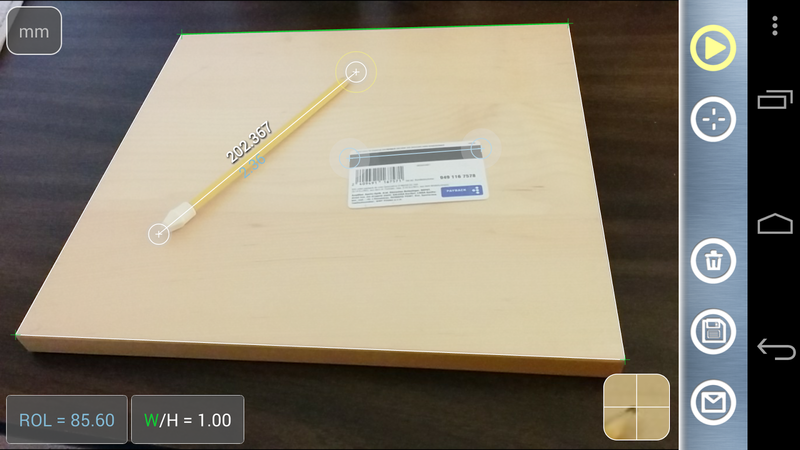 Touch Reference Object Length and select Credit card (Long Side) from the list. 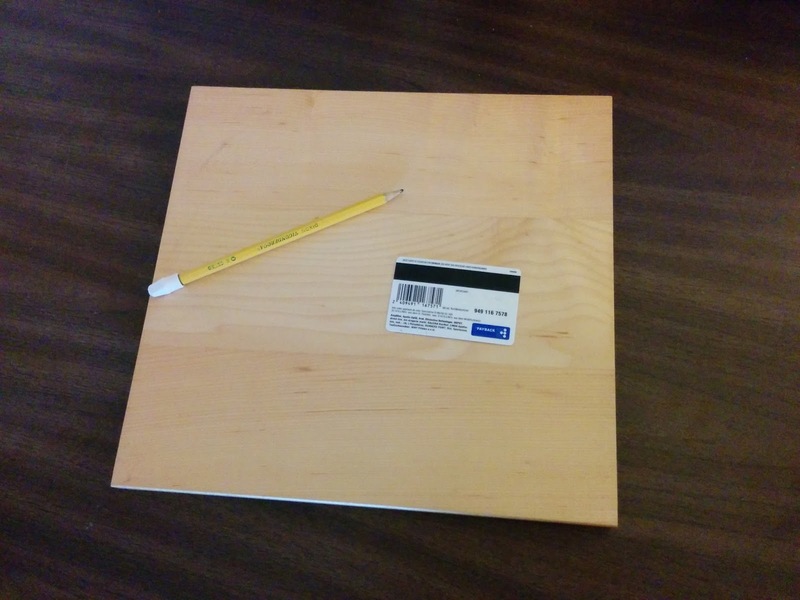 - bound the wooden tile with reference box on the screen. - measure the pencil with white ruler! Please note, in this example if I use a wooden tile of known size I don't need ROL for measurements - the tile would define the plane and scale automatically as soon as we select corresponding option in Preferences and enter its dimensions. 2. "ROL" and " W / H" boxes in the lower left corner are touchable and you can do SHORT or LONG touches as a shortcut for plane and ROL settings. 3. Measurement accuracy depends on how accurate you mark your references. Please select bigger reference objects to get better result. In this presentation sheet of paper is a good choice for measurements of small objects (screws, rings, etc) on it.